On June 20, the Tillamook County Creamery Association (TCCA) opened its new Olson Kundig-designed Tillamook Creamery visitor experience to the public. The design of the new facility was led by Tom Kundig, FAIA, RIBA, Design Principal – Architecture, and Alan Maskin, Design Principal – Exhibits. Olson Kundig also led landscape and interior design for the project. Wednesday’s grand opening was the culmination of a multi-year project by the farmer-owned co-op to completely redesign and rebuild the visitor center at the Tillamook Creamery. One of the most popular tourist destinations in the Pacific Northwest, the Tillamook Creamery expects to host over 1.3 million visitors each year in the new facility. The number of people who visit Tillamook Creamery has grown significantly over the years, and currently as many as 10,000 people visit each day. The new Tillamook Creamery, located adjacent to the company’s flagship manufacturing facility and headquarters in Tillamook, Ore., offers a significantly enhanced experience for visitors. The new Olson Kundig-designed building was constructed in the same location as the former visitor center, but is more than 50% larger at 42,800 square feet. Designing the architecture, exhibits, landscape, and interiors in unison allowed Olson Kundig to create an inviting place for Tillamook’s growing number of guests. 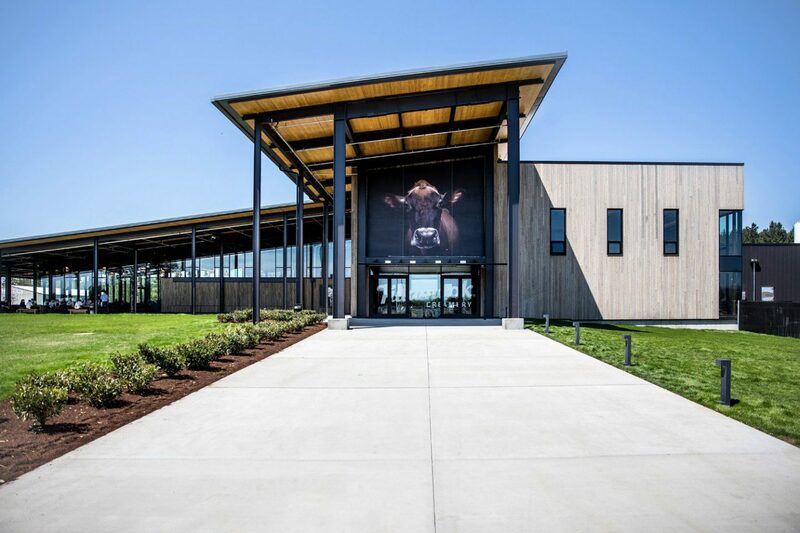 The new, larger facility reflects Tillamook as a world-class dairy brand and will enable TCCA to better accommodate and welcome even more visitors. The new Tillamook Creamery will be open daily from 8am to 8pm during the summer months through Labor Day and then 8am to 6pm during the off-season from Labor Day through mid-June. For more information, visitors are encouraged to check https://www.tillamook.com/.